Location — Izluchinsk, Khanty-Mansi Autonomous District. Nizhnevartovskaya TPP is a major supplier of electricity to Ural Federal District. Nizhnevartovskaya TPP is 100% owned by NVGRES HOLDING LIMITED (NHL). OGK-1 owns 75 % minus 1 shares of NHL, while TNK-BP owns the remaining 25 % plus 1 shares. The partners are currently building the 3rd power generating unit using a 800 MW PGU steam gas turbine. Installed capacity — 1,600 MW (two 800 MW power generating units). After the first unit was launched in 1993, further construction was put on hold and resumed only in 2000 within Russian Energy System Investment Program. Power generating unit #2 was put in production on November 14, 2003. Since October 1, 2006, Nizhnevartovskaya TPP is a subsidiary of OGK-1. 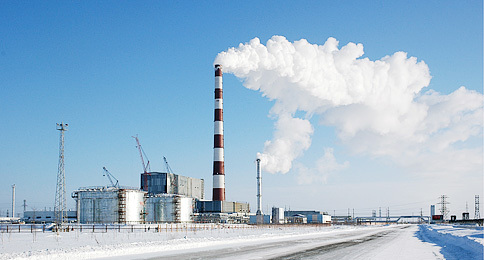 On December 10, 2007, OGK-1 Board of Directors resolved to establish ZAO Nizhnevartovskaya TPP and transferred two operating power generating units into its authorized capital.